I decided that Cloud's saddle (an adjustable "Specialized Saddle") needed to be refitted. and scheduled a date to bring Cloud up to her place in Carlisle PA.
and more importantly, I had an ulterior motive. 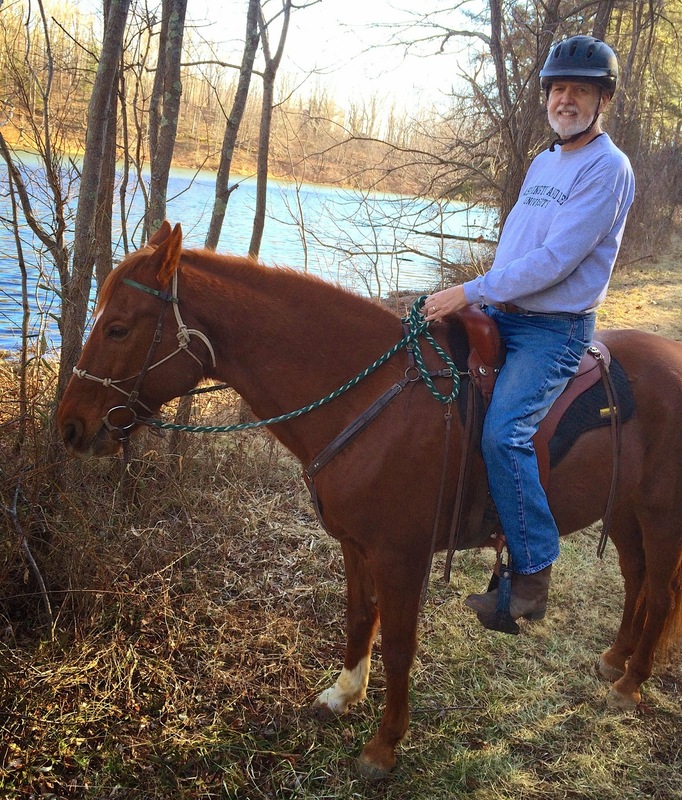 "Wouldn't it be fun camp for the weekend and ride the bridle trails at Gettysburg National Park?" So..... Sarge got to come along. And my plan was in action. it was the carrot on the stick. 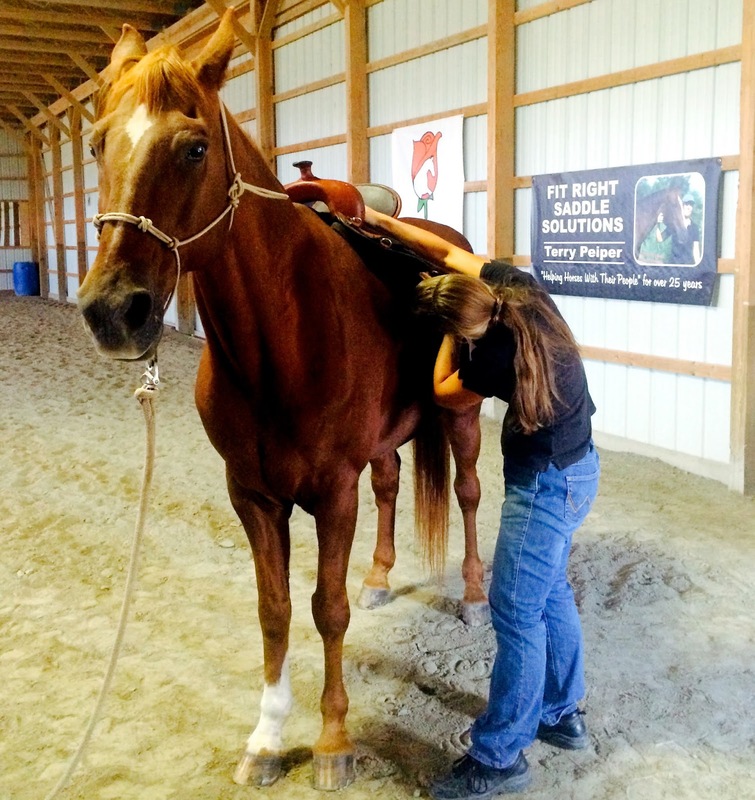 Ever patient Sarge has been tolerating a poorly fitting saddle for some time now. and hadn't been a good fit from the very beginning. ..... why not have him looked at too? 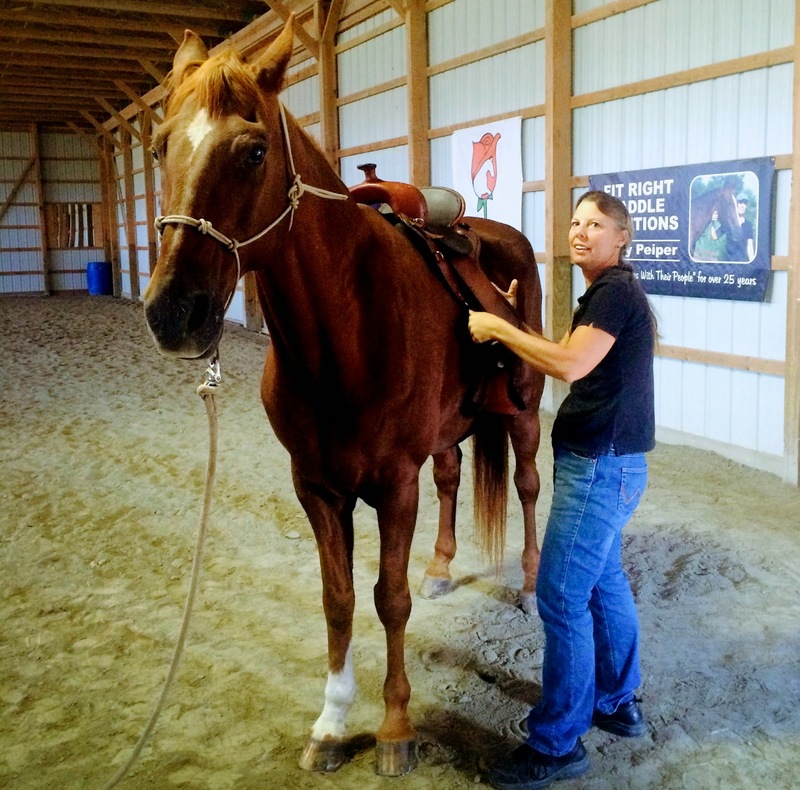 Terry measured and checked over Sarge, analyzed his saddle and watched Joe ride. Sarge needed a new saddle. and Joe was glad to try and make him more comfortable. Sometimes it helps to have a tiny push to get the wheels of change in motion! and the intricacies of his back made it much clearer for both of us. And easier for Joe to accept writing the deposit check! and his saddle was ordered. Specialized Saddles are made in Texas and it takes a while to have one built. Note that in the above photos, Terry is wearing a short sleeved shirt! The saddle came in at Christmas time but we couldn't get away. and got up there in February on a frigid 15 degree morning!!! Isn't this a cool flexible caliper thingie?? to fill all the hollows of his aging back and give support where needed. I wish I'd have gotten more photos but I was afraid my hands would freeze off! We'll go back in a few months after Sarge gets back in shape and have another fitting done. And yes, we did camp and ride at Gettysburg!